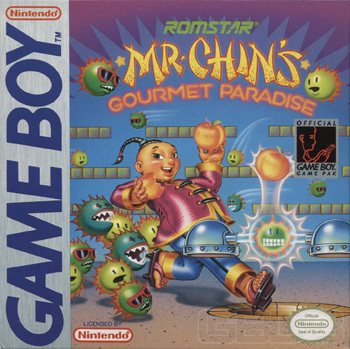 In this high skill action adventure game from Romstar, Mr. Chin is in hot pursuit of his favorite treat. 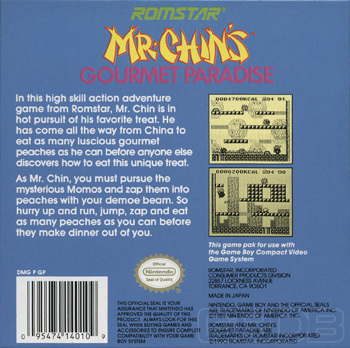 He has come all the way from China to eat as many luscious gourmet peaches as he can before anyone else discovers how to eat this unique treat. 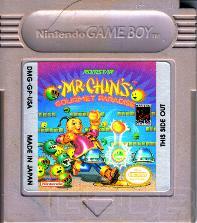 As Mr. Chin, you must pursue the mysterious Momos and zap them into peaches with your demoe beam. So hurry up and run, jump, zap and eat as many peaches as you can before they make dinner out of you.